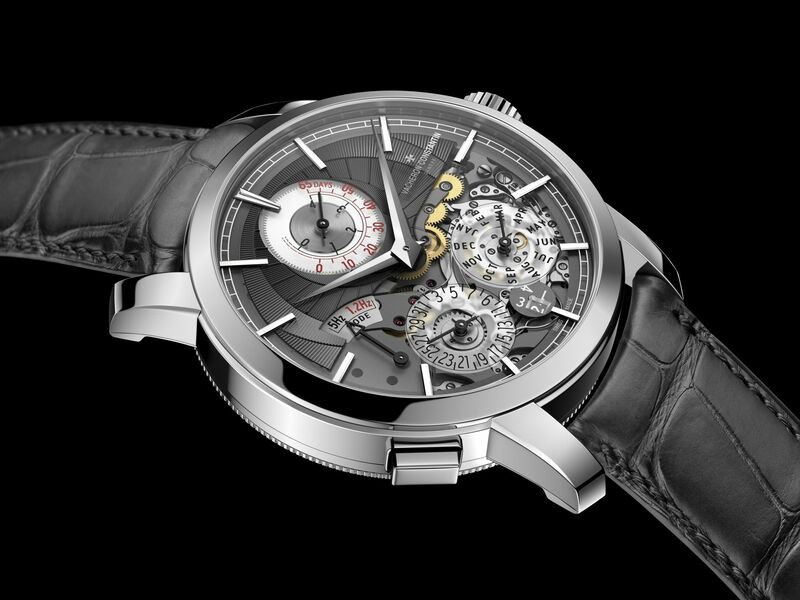 Doors have only just opened at the 2019 Salon International de la Haute Horlogerie (SIHH) in Geneva, and already, one novelty is being lauded as potentially the watch of the fair. The timepiece in question: Vacheron Constantin’s innovative Traditionnelle Twin Beat Perpetual Calendar. The perpetual calendar is one of the most useful and masterful complications in watchmaking. In addition to the time, these watches display the day, date, month and frequently the year, and they’re clever enough to account not only for months being of different lengths, but for the occurrence of leap years. Theoretically, this means that a perpetual calendar watch, after it’s been correctly set and wound, shouldn’t need adjustment until the year 2100—a minor problem, and one most of us won’t live long enough to encounter. The larger issue is, perpetual calendar watches are an aficionado’s choice—highly complex and generally incredibly expensive—meaning that their owners are very probably in possession of numerous other timepieces. As part of a collector’s rotation, the perpetual calendar is unlikely to be worn on a daily basis, and unless it’s kept in a watch winder (if automatic) or regularly hand wound, its indications will constantly creep to a halt. As a result, you’ll have to reset its myriad displays whenever you wear the watch — precisely the “fiddliness” a perpetual calendar is meant to eliminate. The world’s oldest watchmaker in continuous operation, founded in 1755 and ceaselessly crafting the finest timepieces ever since, Vacheron Constantin has drawn on its more than two-and-a-half centuries’ horological expertise to solve this problem. In the Traditionnelle Twin Beat Perpetual Calendar, the manufacture has created a mechanical timepiece that can be placed in a hibernation-like state, extending it’s (already rather formidable) standard four-day power reserve to an incredible 65 days. This means that even if he hasn’t worn the watch in two months, it will still show the accurate hour, day, date and month when the owner next straps the timepiece to his wrist. Vacheron Constantin claims that it is “putting the perpetual in perpetual calendar.” Its master watchmakers have achieved this feat by equipping the Twin Beat with two balances operating at different frequencies. By pressing a pusher situated at the 8 o’clock position, the wearer can instantly switch from day-to-day Active Mode (which features a 5Hz balance and four days of power reserve) to Standby Mode (running on a second balance with a vastly reduced frequency of 1.2Hz). In the latter state, the watch can be left alone for up to 65 days with no interruption to its timekeeping, and its calendar indications ticking along perfectly. Belying its highly inventive, intricate functionality, the 480-component Calibre 3610 movement at the watch’s heart is a mere 6mm in height and 32mm in diameter. It is housed in a 42mm platinum case, the classic shape of which markedly contrasts the modernity of the timepiece’s countenance, featuring a slate-coloured hand-guilloché gold and sapphire-crystal dial. Forward-looking technically and aesthetically, the Traditionnelle Twin Beat Perpetual Calendar proves that while Vacheron Constantin may be the world’s oldest watchmaker, they’re very much moving with the times.